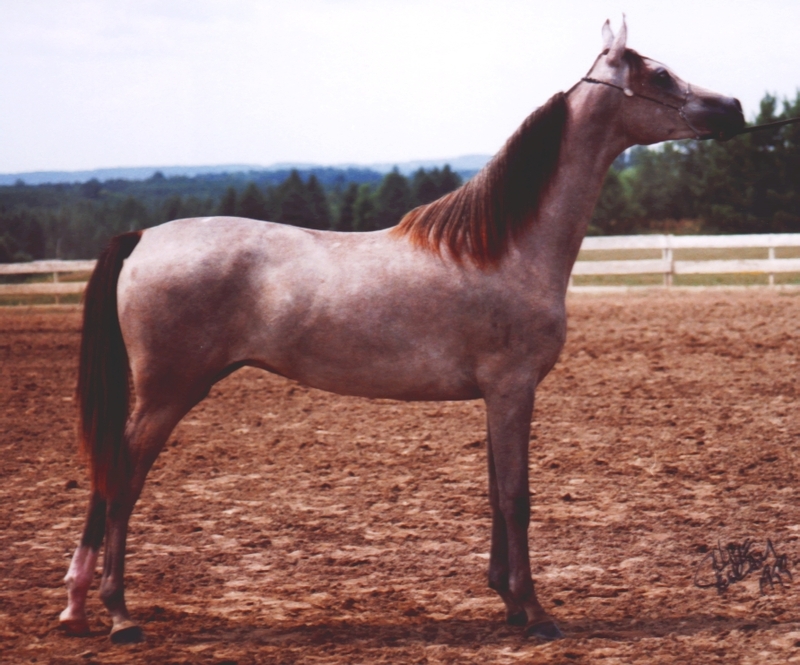 Dessia thought hard about breeding her first Arabian for herself. 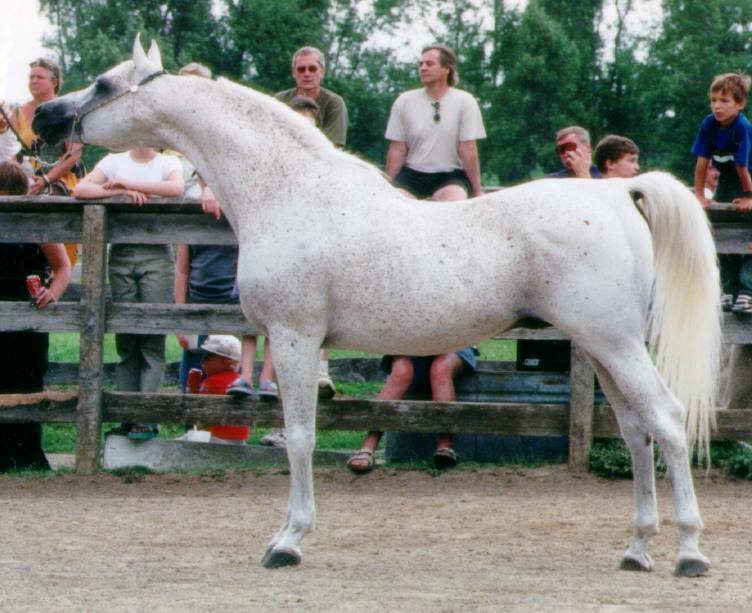 She looked at the horses in the area and was captivated by Amurath Baikal and NV Masira of Rideaufield farm. 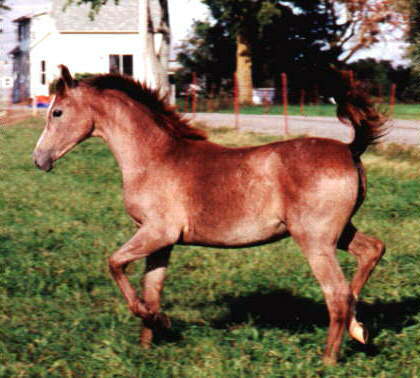 Ideally Dessia wanted to lease or buy a Baikal daughter to cross with Hennessy. 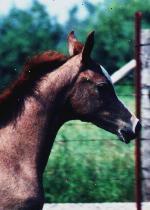 As luck would have it, she found "Call Me A Lady" available for lease. 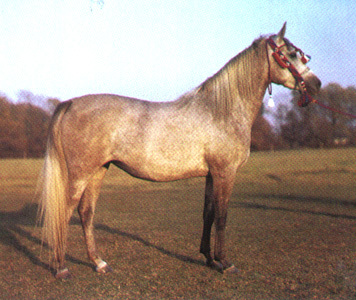 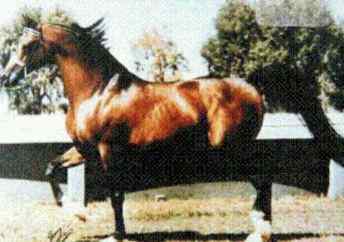 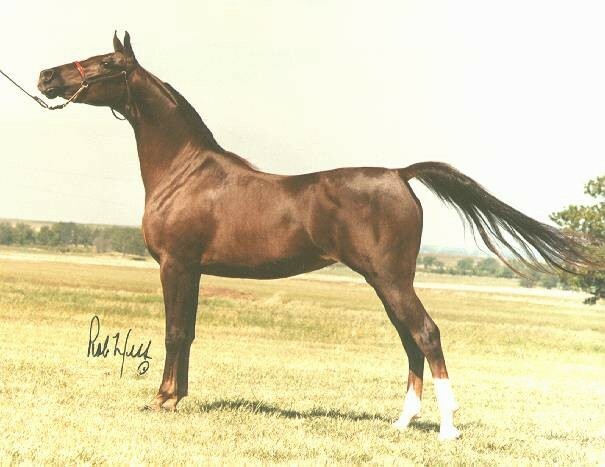 Baley was the first foal of this golden cross and a surviving twin. 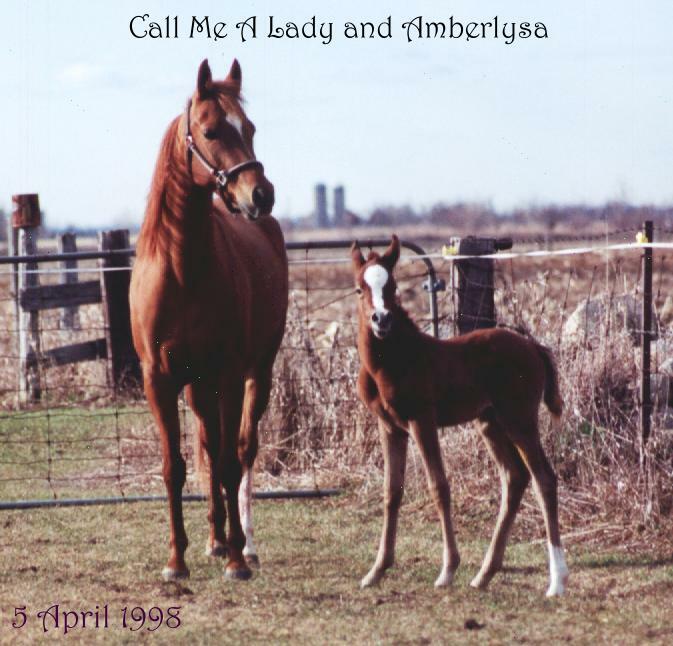 She came to Amberlea looking like an underfed two year old, even though she was six years old. 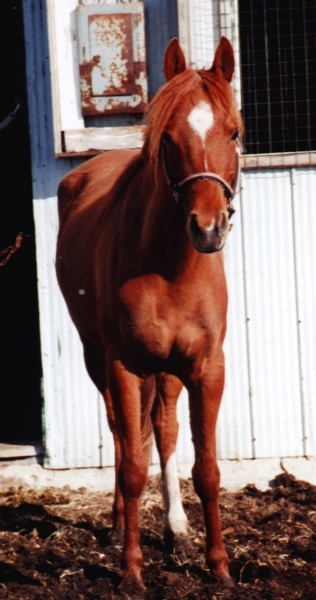 Dessia bred her to Hennessy, fattened her up and watched her grow with her pregnancy. 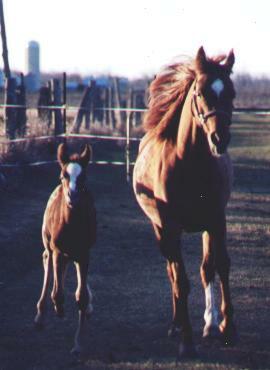 She was due the third week of April and on March 1st was moved to Dessia's new home in Berwick. 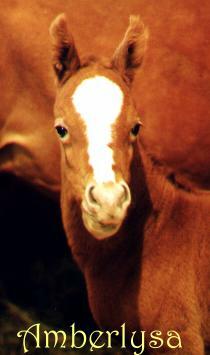 Three weeks early on April 1st, Dessia & Rainer came home and lo and behold, there was a filly in the stall. 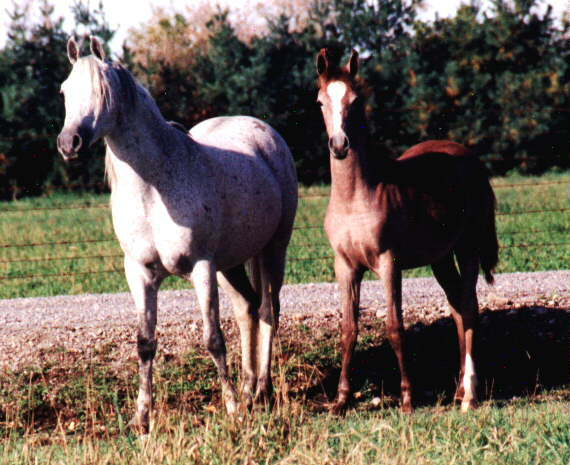 They missed the actual birth by minutes as they were both still lying down. 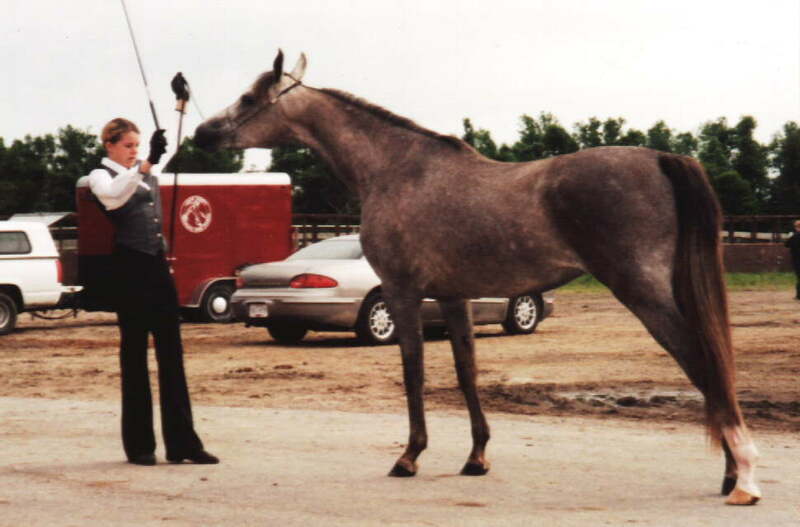 It has been thrilling to raise, train and show Lysa for halter and performance. 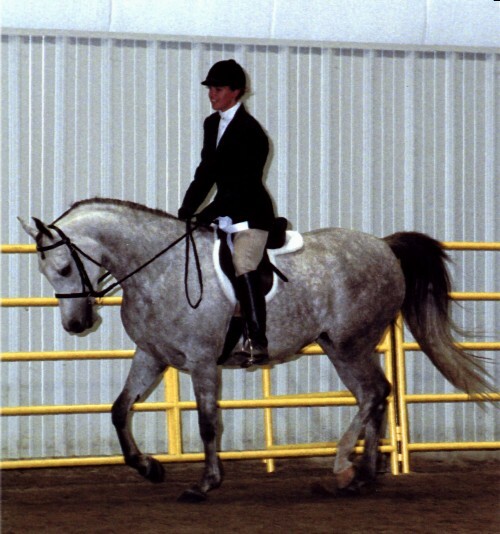 Lysa was shown in a very competitive Region 18 yearling class, then again as a two year old at the local Class A show. 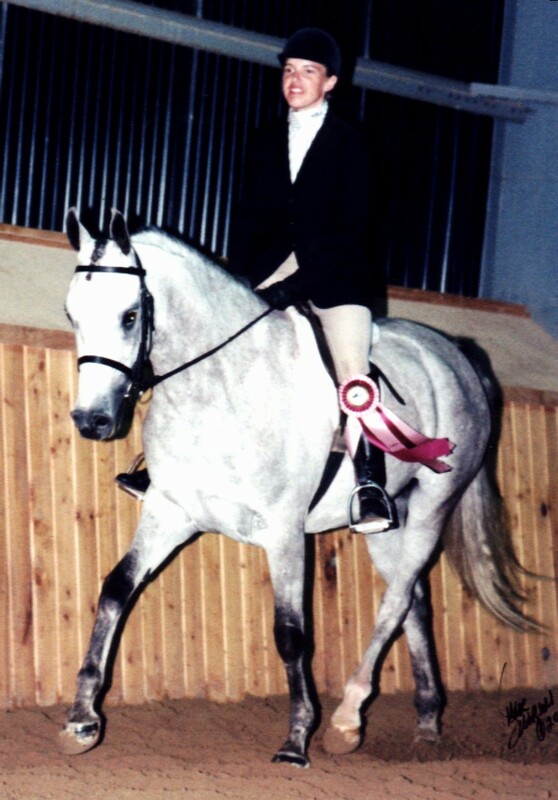 She was a very gangly and awkward three year old, so was left to grow up. 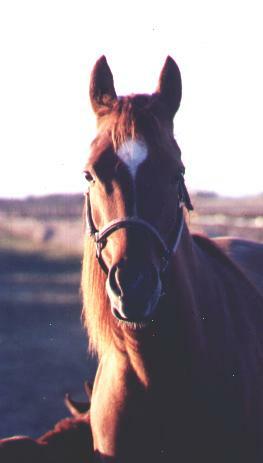 January of her 4 year old year. 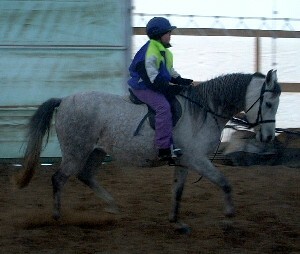 she was put into training for under saddle work. 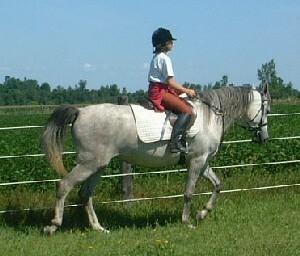 Amberlysa has grown into a stunning mare, tall, elegant and ever so sweet. 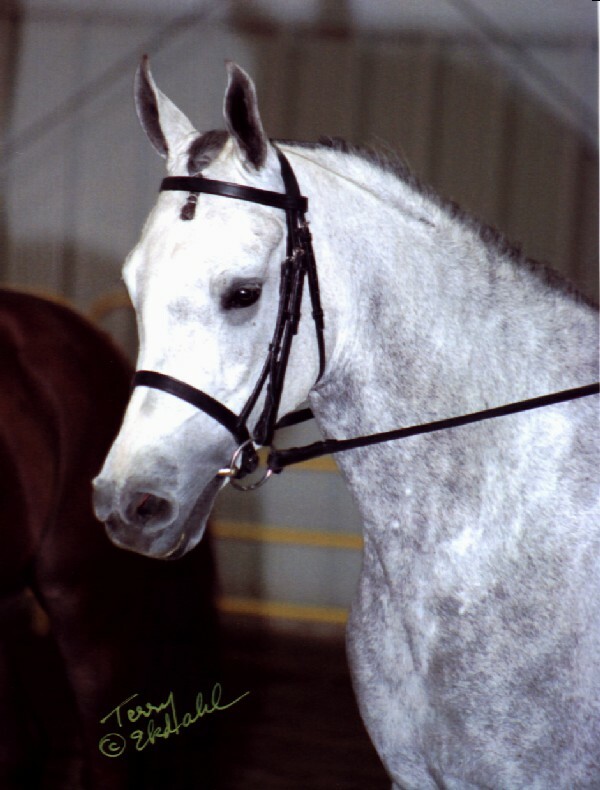 She is everything that Dessia hoped for in this cross. 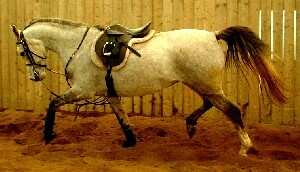 Of course no horse is perfect, she has some minor conformation faults, but overall, she does her pedigree proud.